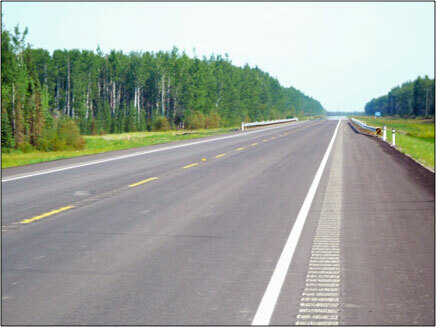 This project entailed 48 km of roadway improvements included grading, GBC, ACP, adjust the width of the subgrade, bridge culvert extensions, install concrete collar, installation of a new w-beam guardrail, milled rumble strips on shoulders and centerline and the construction of safety rest areas. The weather conditions posed a challenge for this project; the summers of 2013 and 2014 were extremely wet in Northern Alberta. Additionally, the project and haul route are located within the Red Earth Caribou Management Zone which restricted work during the caribou calving season of April 1st to July 15th as well as the ungulate winter range period of January 15th to April 30th each year.